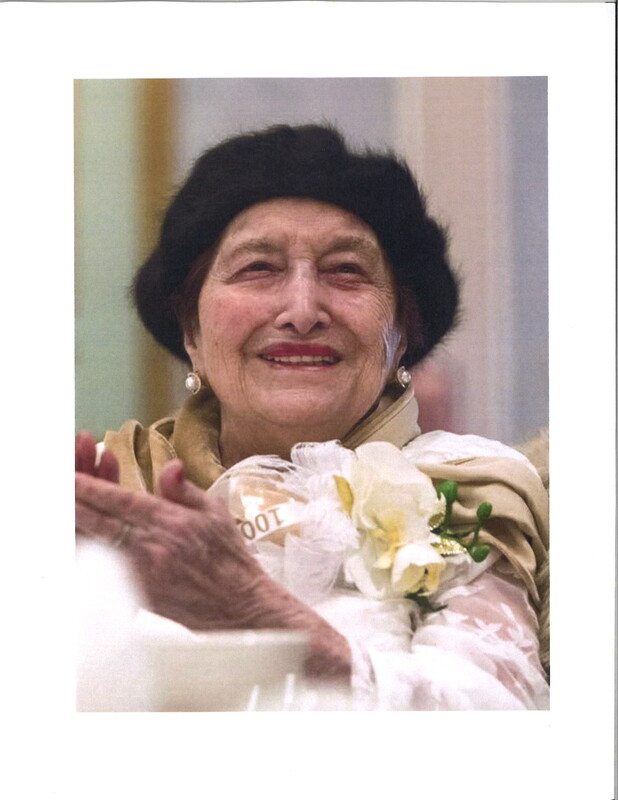 Dolorinda Maria (LaVecchia) Abessinio, age 100, passed away on October 26, 2018. She was known to her family and friends as Dolores. She was born in the village of Buono Pane on the island of Ischia, located in the bay of Naples, Italy on February 17, 1918. Ischia is a beautiful island where the Germans and Italians go to vacation and make use of the natural spas. Her parents, Ciro and Carmela, brought Dolores at the age of 20, and her two brothers, Dominick and Johnny to the U.S. in 1938 to escape Fascism. The family was sponsored by Ernest Del Campo of Del Campo Bakeries where Ciro worked while the rest of the family was in Italy. Dolores was employed at a shirt factory until she met and married Pio. They were married on December 28, 1939. In the early years of their marriage, Dolores worked in her husband’s business, Pio’s Luncheonette on the corner of Eighth and Orange streets in Wilmington, Delaware. While raising six children, Dolores worked in the luncheonette and also rented and maintained apartments in order to help support the family. The family’s home parish was Sacred Heart in downtown Wilmington where the family attended Church and school. She and her circle of friends enjoyed hosting and playing bingo at each other’s home. Dolores was extremely disappointed when Sacred Heart closed and was forever thankful to Brother Ronald Giannone for resurrecting the Church. She felt blessed to have Brother Ronald and the nuns from the Ministry of Caring visit her. Dolores was a wonderful cook using recipes from her native Ischia as well as those from Pio’s region of Italy, Bella, Potenza, in the region of Basilicata. She would put together full meals on a moments notice as her grandchildren, working nearby, would drop in unannounced with their friends. Dolores was predeceased by her husband Pio, her son Gino and her daughter Carmela. She was also predeceased by her parents, Ciro and Carmella LaVecchia, her brothers and their wives, Dominick (Rose) and John (Teresa) LaVecchia. She is survived by her sons Rocco (Mary) Abessinio, Boca Raton, Florida, daughter Marie Rogers, Clifton Park, New York, son Joseph Abessinio, Wilmington, Delaware and Rita Abessinio, Washington D. C. and Wilmington, Delaware. Also survived by her daughter in law Nan Tester, Greenville, North Carolina. Other survivors include her grandchildren, Mardee (Michael) Cool, Peter (Kristen) Abessinio, Vincent (Jennifer) Abessinio and Joanne (Matthew) Fabrizio, Eric (Kimberly) Rogers, Angela (Hunter) Dale and Michael (Paula) Abessinio. Her fifteen great grandchildren, Lauren, Anna, and Michael Cool; Paige and Lillian Abessinio; Rocco, August, Francis and Johnny Abessinio; and Luca, Roman and Verona Fabrizio; Nathan and Avery Rogers and Westray Dale. She also leaves behind a number of nieces and nephews that were close to her. Funeral arrangements are private. In lieu of flowers, contributions may be made in Dolores’ name to the Ministry of Caring, 115 E. 14th Street, Wilmington, DE 19801 or online at https://ministryofcaring.org/how-can-you-help. Funeral arrangements are private. In lieu of flowers, contributions may be made in Dolores’ name to the Ministry of Caring, 506 N. Church St., Wilmington, DE 19801 or online at https://ministryofcaring.org/how-can-you-help. Dear Joey, Rita, and Rocco -- You obituary for your Mother is truly a wonderful tribute to a wonderful woman. I often think of our childhood times on Eleventh Street, and the strength of your parents to provide such a loving home for their children. Even as a kid, I was very aware of how hard and long your parents worked to provide education for/and nurture their children. While attending your mother's birthday celebration at the Columbus Inn, I was so thrilled to learn that my favorite bakers from the "Open/Closed" Bakery near the Academy of Medicine Building, was owned by Mrs. Abessinio's two brothers !!!! All of us from the American Cancer Society went there often, and loved the two men who made such fabulous Italian goodies. I send you my deepest sympathy, and great affection for your entire family. We served in the DE Army National Guard in the 60's. Wonderful aobituary for your Mom, so sorry, she probably worked at the shirt factory with my Mother in Law Dorothy Van Sice. These unforgettable people were the salt of the earth in their time. God Speed! We keep you all in our thoughts and prayers.